Something moms struggle with is self care. It took me a long time to be convinced that self care is good, but we can’t pour out of an empty cup. Being a mother is an emotional rollercoaster and – newsflash – you will never feel like your old self again. This is the new you now. Moms are pretty amazing, and I am a big advocate of moms taking time for themselves, making sure they parent from a place that is filled with love not drained of energy. 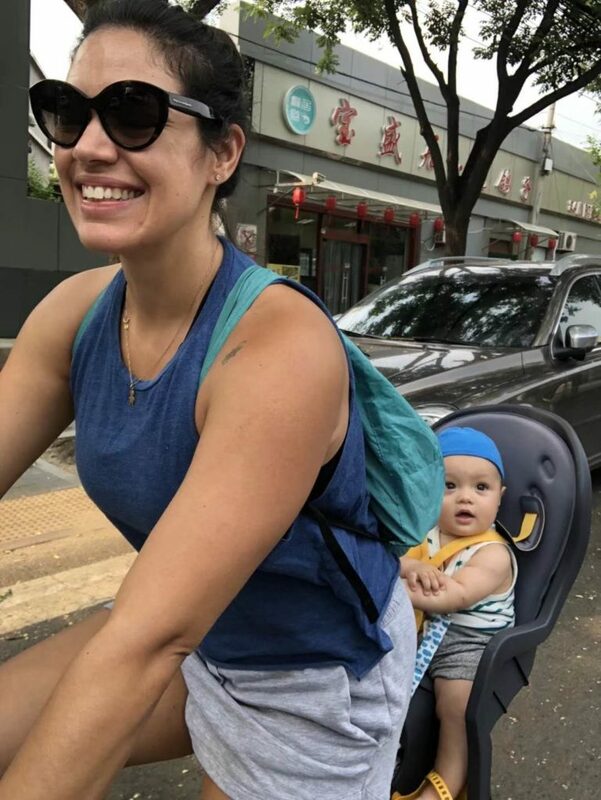 Camila Betin is a new mother who has combined all her knowledge, and is ready to help mothers in Beijing get happy and healthy. 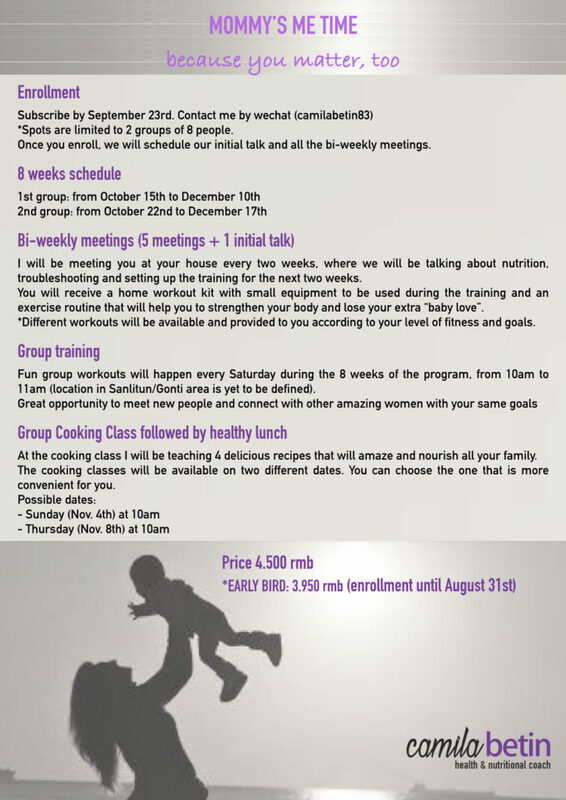 Betin is a nutrition specialist and ﬁtness trainer who had her first child in December; she has learned many valuable lessons in this short amount of time. A few months ago I’ve learned that being a mom is the most amazing, yet overwhelming/ demanding thing that can happen to a woman. Being a new mom is not easy. Especially in the ﬁrst months, it feels like there is a new challenge every day and when life itself is a challenge, you don’t need to add more pressure on yourself. So the idea behind this project is not to put people on a diet, or make them to spend two hours at the gym. My goal is to help other moms to change their lifestyle, little by little, and bring more health and good nutrition for all their family. 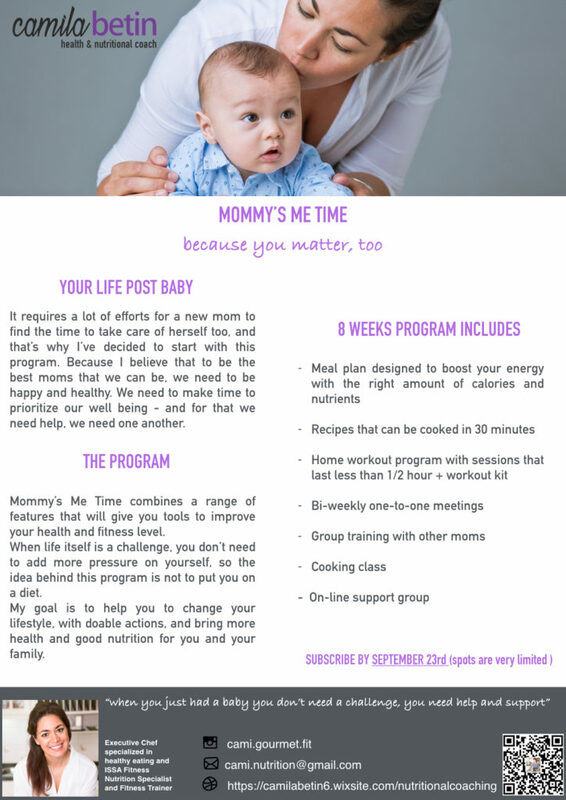 What is included in the Mommy’s Me Time eight week program?